View of the valley of Agia Irini. In the foreground Spiny Broom is flowering. 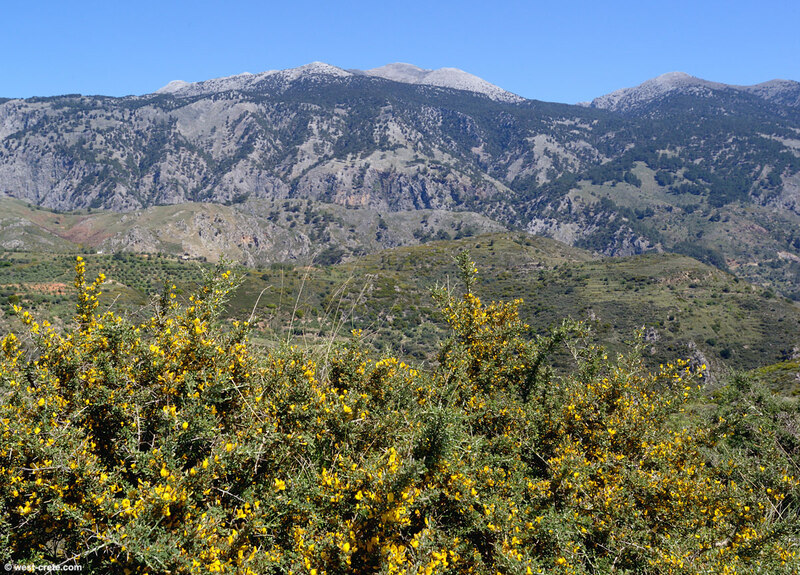 Further back in the image the gorge of Agia Irini runs from North to South (left to right in the photo) along a cliff that then rises all the way to the summit of Psilafi at 1980m.